We like to make things easy and comfortable already in the planning phase. 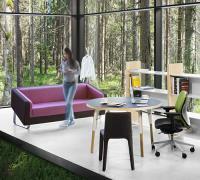 Therfore we have created a toolbox for architects – the furniture planning application ThulemaCAD. ThulemaCAD runs on AutoCAD and makes it very easy to place Thulema furniture blocks straight onto the 3D and 2D version interior design plans. Additionally, it enables to automatically draft the specification of the furniture on the plan including approximate price. ThulemaCAD works in AutoCad 2008-2016 versions in Windows environment. The program requires approximately 160MB of hard drive space. For most of the issues that may arise, you will find the answer in the user guide. In case you need assistance in interior planning, please contact our sales team.